I needed to take a teeny-tiny break. now moving (soon!) to another state. During this time, I have lost sight of a lot of things. I have been happy and angry and just plain pissed off. And had a lot of late night pity parties. I have embraced some changes and hid from others. that are bouncing around in my head. I need to do it without any unnecessary distractions. I have had health scares. I am flat out exhausted...I think I run on coffee alone. I "snap" at the kids. I "snap" at my husband. And that is not working anymore. I need to get my house in order. I need to help my kids with some things. I need to go back to appreciating what I have. 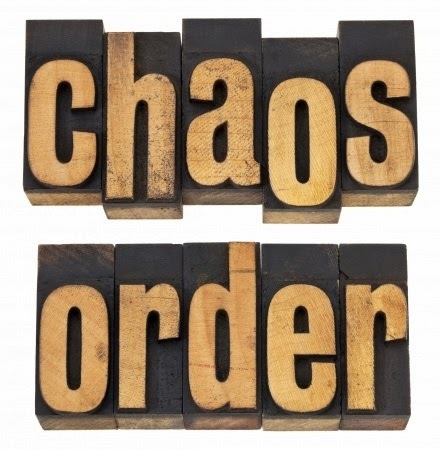 BUT THE CHAOS MUST STOP. I have decided to take 10 days off to Cut Through the Chaos in my life. Why 10 days...I have no idea...it just sounded right. I am really good at starting things. I have developed a lot of good habits. Then promptly developed a lot of bad habits to counteract the good ones. focus on why my mind is filled with chaos, and get back on track. And hopefully emerge with a better attitude and a clear head. I know we all have buys crazy lives. I am no different than anyone else. I know I need the time. I have not been able to pull it all together. I want to be a good wife. I want to accomplish my dreams. Fresh air, family, and friends will help. I want to draw with my girlie. Watch my boy play baseball. collect some sea glass to take to Texas. (a sound I will soon not hear anymore on a daily basis). So, thank you for listening, for reading, and being supportive! go ahead and share them hear...PLEASE! 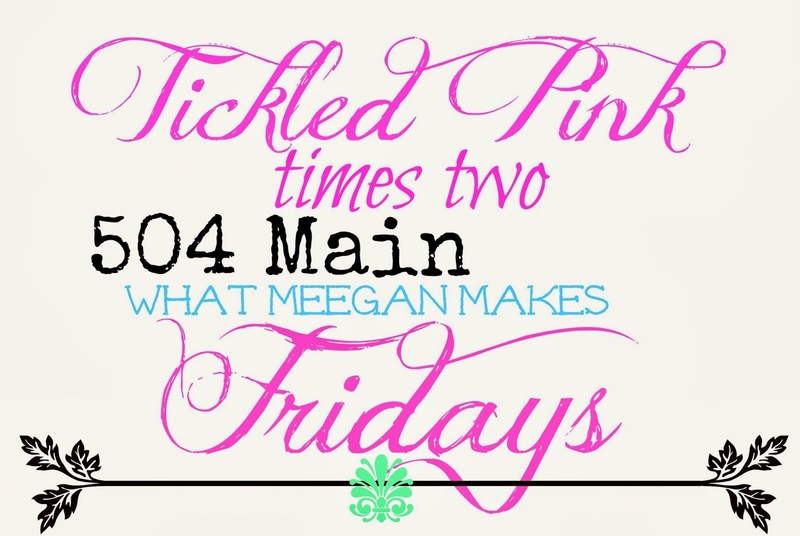 Be sure to visit Meegan this week as she will be hosting Tickled Pink on her blog! I admire you for realizing that you need some down time. We all go thru this and basically nothing will magically happen......we have to MAKE it happen. Grab life by the horns and take control. Only YOU can make that happen. Get you rest and clear your mind of all those so you can think better, feel better, and enjoy life. We aren't going anywhre so we will be here when you get back! :) hugs! Well Guess what? Since you are such a smart lady... I am going to follow your lead. Making a goal list right now. Daily attainable goals. I will have to compare notes with you! I have my poms poms and am cheering "GO HOLLY!!!" Holly, this post is like a page out of my book! Honestly, I just had this conversation last night with my husband. We've moved 6 times since 2007, lived apart for jobs, had babies along the way, said hello and good-byes and its been an emotional roller coaster! I understand how you feel. Hang in there and enjoy these days off!!! I understand your feelings, perfectly, Holly. I have had to take days and even weeks off from blogging. Some of the reasons for this have been beyond my control, as other things were simply more important, literally. My family is going through some really tough and uncertain times and, even though my children are grown and have children of their own, when they are going through times of crisis, their needs, pains and health concerns are my own. You are wise to follow your instincts and judgement. There is a season for everything. Right now, your health and the health and happiness your family should be your foremost concern and it is good that you have the wisdom to realize that. Please know that I will be praying for you during this time of reflection and revamping.